Basseterre, St. Kitts (CUOPM) — Writers who are nationals of St. Kitts and Nevis, other Eastern Caribbean islands and Barbados, are being invited by the Public Affairs Section at the U.S. Embassy in Bridgetown, Barbados, to submit nominations for the ten-week International Writer’s Programme (IWP) at the University of Iowa’s prestigious International Residency Programme. The U.S. Embassy in a statement said that the IWP is tentatively scheduled in Iowa City from August 23, 2014 to November 11, 2014. “Writers who are citizens of and who live in Antigua and Barbuda, Barbados, Dominica, Grenada, St. Kitts and Nevis, St. Lucia and St. Vincent and the Grenadines can apply,” said the U.S. Embassy statement. Interested writers should send a curriculum vitae and a 10 to 15 page writing sample to bridgetownexchanges@state.gov by March 27, 2014. No applications will be accepted after this deadline. Other Embassy information: Who should apply: The IWP program is designed for established and emerging creative writers in any genre including fiction, poetry, dramatists, screen writers are eligible for nomination. Literary translators and writers of creative non-fiction, e.g. feature journalism, cultural commentary, biography, etc. are also eligible to apply. Applicants must have published at least one book, or their works have appeared in significant publications over the past two years. Please note that in order for writers to benefit fully from this residency, they will need to have the flexibility in their schedules to spend 10 weeks in the United States. All applicants must be fluent in English (spoken and written), comfortable with cross-cultural dynamics, and interested in close interaction with other artists from a multiplicity of diverse cultures. Program Description: IWP provides a unique inter-cultural experience for established writers who have achieved literary distinction in their own countries, as well as for rising stars who have demonstrated literary talent, broad appeal and/or an interest in contributing to the creative writing culture in their home countries. The IWP brings together a wide range of international and U.S. writers to examine current trends in literature including fiction, drama, poetry, and screenwriting to explore the creative process involved in writing in a unique U.S. environment. The international writers will spend 10 weeks in residence at the University of Iowa in Iowa City presenting their work to local audiences, working with translators, and participating in university level classes and workshops. This aspect of the program will help these participants bring their countries’ literary works to a wider audience and learn more about U.S. literature. The 2011 program will feature increased opportunities for writers to participate in optional collaborative projects with artists from other disciplines including theater and dance. The residency will also include field trips to attend literary events. Further details about the program are available on the IWP website http://iwp.uiowa.edu/. Funding: Successful applicants will receive funding that will cover the costs of the writer participating in cultural exchange activities in the fields of writing, translation, and collaboration with artists from other artistic disciplines. 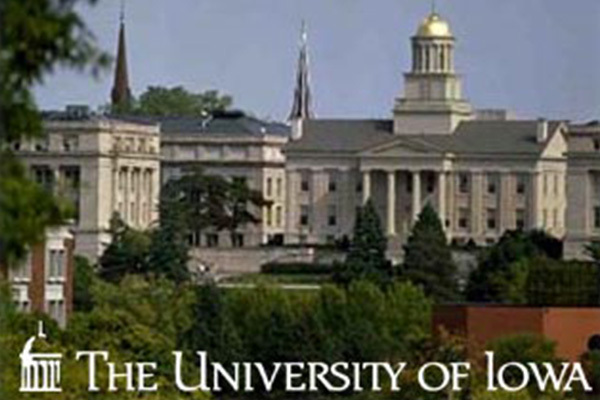 Housing and Family: Due to housing limitations at the University of Iowa, and the intense nature of this residency, family members are not permitted to accompany the writer(s) for the duration of the residency.